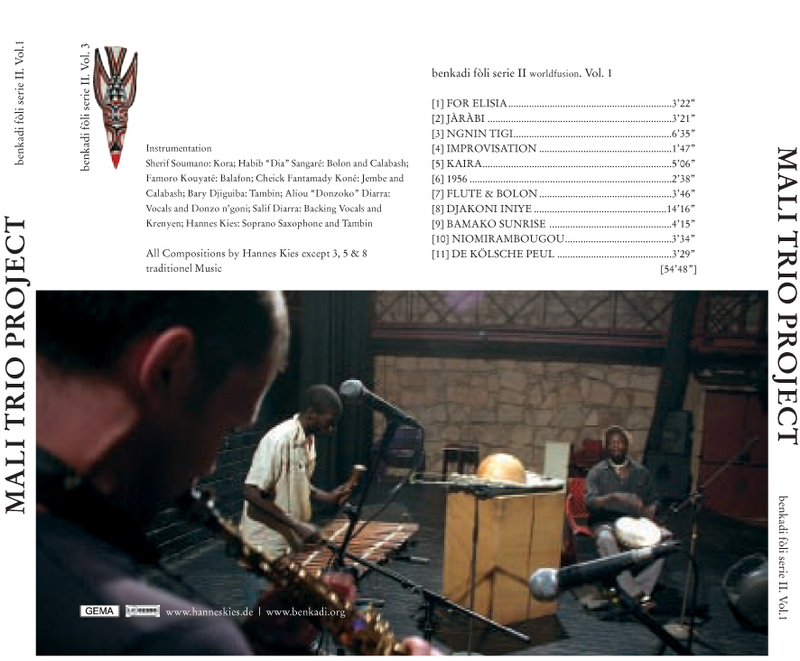 "Saxophone meets Kora, Balaphon and Donzo N´Goni"
"Unique Sounds of alluring beauty emerge when the melodies of saxophone player Hannes Kies join the music of the hunter-musicians from Mali. 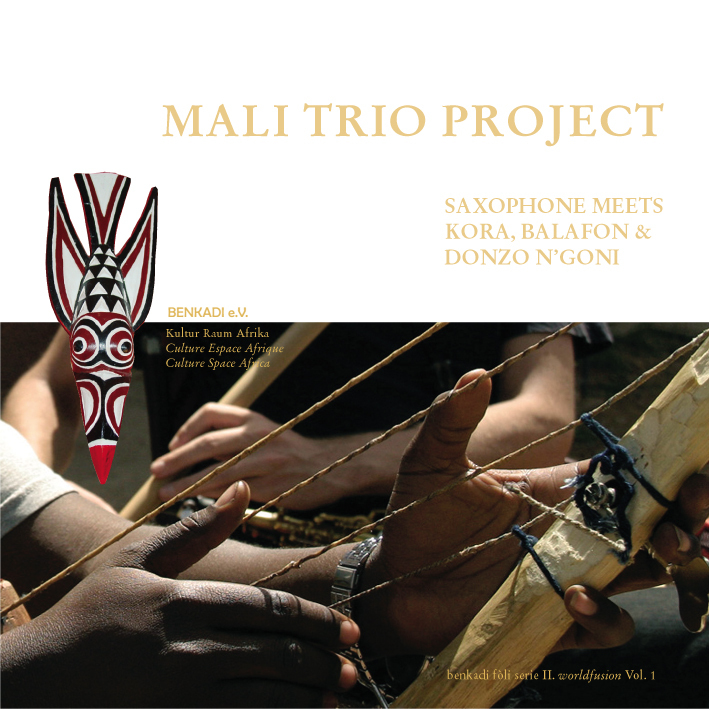 The magic of the African xylophones and the harp-lutes "Kora" and "Donzo N´Goni" unfolds in various arrangements, enriched by the "Tambin" and "Djembe". The sounds permeate an unchartered, fascinating, tonal range between the two cultures." CD comes with an 8 page booklet in English, French and German.